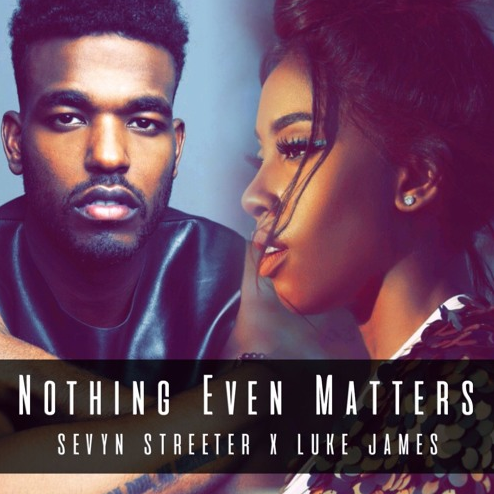 The Cryptic Beauty: It Matters: Sevyn & Luke James Duet for a Rendition of "Nothing Even Matters"
It Matters: Sevyn & Luke James Duet for a Rendition of "Nothing Even Matters"
R&B songstress Sevyn teamed up with Grammy-nominated crooner Luke James for a rendition to Lauryn Hill and D'Angelo's classic record, "Nothing Even Matters." This rendition will hold fans over until Sevyn's forthcoming debut album, "Girl, Disrupted," is released this spring. James is still riding high from playing 'Johnny Gill' the highly successful tv biopic film about the legendary R&B group "New Edition" and hope (and pray; I'm praying hard y'all) he's working on new music! James' critically acclaimed debut album was released in 2014. He's been overdue for a new record. Listen to the duo's rendition of "Nothing Even Matters" below.